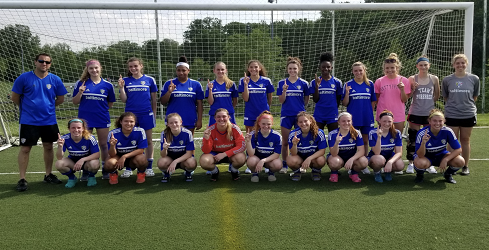 The Baltimore Bays “Pride” U18 Women’s team capped off an undefeated untied season to capture the EDP spring league championship with a 5-2 win over SAC Premier Blue. The ladies finished the season 7-0-0 scoring 24 goals and only allowing 3. Congratulations ladies on a great spring season!